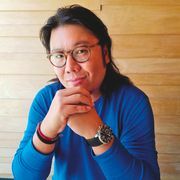 Kevin Kwan is the author of the international bestsellers Crazy Rich Asians, soon to be a major motion picture, China Rich Girlfriend, and Rich People Problems. Born in Singapore, he has called New York’s West Village home since 1995. Editor's note: Some of you have been wondering why we took a bye week in between rounds 1 and 2. The answer to this mystery lies in the judgment below (or, to put it another way: Oops!). The blunder is all ours, but our judge couldn't have been more gracious. I remember witnessing my mother cook for the first time when I was eight. If you’re wondering where my mom was before then, let me first explain that I grew up in Singapore, in a multi-generational house with my grandparents, along with a fearsome, elderly Cantonese cook who didn’t allow anyone to set foot in her kitchen. A friend had given my mom a recipe for Spaghetti Bolognese, and she was determined to do something extremely novel with it: make it herself. She stood gingerly over a wok that was bubbling improbably with tomato sauce; I stared with a mixture of disbelief and horror. Our cook glared at Mom as though she was committing a mortal sin by invading her kitchen with these strange ingredients. While I loved the spaghetti, partly because it was the first thing my mother ever cooked for me, my grandparents weren’t as impressed. It was my mother’s first and last time ever cooking in that kitchen, and it didn’t do much to encourage me to set foot in one, either. These days, though I’m someone who lives to eat, I’ve lamented my inability to cook anything more sophisticated than ramen a la instant. I realized that participating in this tournament could have the added benefit of letting me awaken some long-dormant kitchen skills. In the month I had been allotted, I would attempt as many dishes as I could from the two cookbooks assigned to me for judging: Six Seasons: A New Way with Vegetables by Joshua McFadden, and Samin Nosrat’s Salt, Fat, Acid, Heat. I decided to enlist three friends to do all the cooking while I watched help me test these recipes. It didn’t hurt that Shawn, an actor, Kathleen, a musician, and David, a producer, have solid cooking experience. We flipped open Samin’s book and began reading the first chapter about salt. It was utterly fascinating, so we kept reading. And reading. And reading. On page 50, she’s still talking about salt. We quickly realized that this was not so much a recipe book as a master class in cooking. Samin spends the first 191 pages of the book indoctrinating you in the four essential elements that guide every dish she makes. She also suggests reading the entire book before attempting to cook anything. Since we were all starving, we decided to cheat and skip right to the first recipe: Roasted Squash, Sage, and Hazelnut Salad. Two hours later, we were still cooking. This simple-sounding recipe involved roasting the squash for thirty minutes and macerating red onions in red wine vinegar for another twenty. Then, frying, drying, and salting sixteen sage leaves (which, to do right, takes far longer than you might think). And then, making croutons from scratch (more oven time). “There are home cooks, and there are chefs. And home cooks don’t want to do all this,” Shawn grumbled, as he painstakingly deseeded the squash. “We’re supposed to let this sit for another 10 minutes, but let’s just eat it slowly instead,” David suggested. A week later, we decided to try a recipe from Six Seasons: A New Way with Vegetables. The title is a bit deceptive—it’s not just a vegetable cookbook, but one filled with a diverse array of tempting-sounding dishes that incorporate vegetables. I feel like the ingenuity of this book is that it divides vegetables into the seasons when they are most available and at their best. (There are six seasons because Joshua breaks summer into early, mid, and late.) Still getting over the last epic cooking session, we were astonished by how quick and easy it was to make his Rigatoni with Broccoli and Sausage. Joshua shares three bits of wisdom in this recipe that have permanently upped my pasta game: (1) Cook the sausage in patties first so you get the nice browned surface bits that you wouldn’t get if you just poured all the ground sausage into the pan to cook; (2) As the pasta boils, toss in the broccoli florets for the final 3 minutes of pasta cooking time, so they cook together; (3) When you go to combine the cooked pasta and sauce, incorporate a bit of pasta water in the mix and the whole thing melds together in the most heavenly way. Sitting down to dinner a scant thirty minutes after we started cooking, I marveled at how exquisite the dish was. It tasted so authentically Italian, I felt like it must have come from a delectable trattoria in Trastevere—not from my own kitchen. Feeling brave, I decided to attempt Joshua’s Beef with Lots and Lots of Onions by myself for a small dinner party. For something relatively effortless to make, it turned out to be a big hit with my guests—the tender beef and caramelized onions melding into such a deep, rich flavor, it was extremely satisfying for a cold winter night. I also made his Citrus Vinaigrette to go with my (store-bought) mesclun salad, and even though I used the wrong grater on the orange, lemon and lime, the vinaigrette turned out great. It was robust yet refreshing, adding a touch of sophistication to the salad. The next time the group came together to cook, we decided to divide and conquer: Kathleen and Shawn would make the Caesar Salad from Samin’s book, David and Kevin would make the Lamb Ragu with Carrots and Green Garlic from Joshua’s. The ragu was done in about half an hour while the salad took a little over an hour—mostly because of the mayonnaise. Of course, Samin has you make your own mayonnaise, something we all took turns failing miserably at. No matter how much we whipped the damn concoction, it refused to emulsify and thicken into anything resembling Hellman’s. Thankfully, I had a jar of the stuff in the fridge. (Like any good New Yorker, I keep a fridge full of condiments, half a bottle of vodka, and nothing else.) In the end both dishes turned out superb—Joshua’s Lamb Ragu, served with pasta, was the definition of decadent comfort food, and Samin’s take on Caesar salad was so delicious, I even had a second helping. But before I could properly process my separation anxiety, Food52 FedExed me the book I was supposed to review all along: Kaukasis: A Culinary Journey Through Georgia, Azerbaijan, & Beyond by Olia Hercules. Now, I’ve never been to this region of the world, so I was excited to delve into this culinary adventure. I soon discovered that “adventurous” is a pretty good way to sum up cooking from Kaukasis. Finding many of the ingredients—like pomegranate molasses or matsoni (a type of yogurt made with a special Caspian bacteria), took some creativity. And making Olia’s Poussin Tabaka in Blackberry Sauce certainly required an adventurous spirit. This dish is basically pan-roasted chicken with a blackberry sauce, and it taught me a new, interesting way to roast the bird: Brown the spatchcocked chicken in a pan, cover with parchment paper, and then place another pan on top. Then, weigh down the pan “with a heavy mortar and pestle.” It may be hard to imagine anyone in this day and age not owning a mortar and pestle; alas, I do not. We improvised by using two jars of spaghetti sauce and two cans of coconut milk. Since the whole thing looked like a contraption jerry-rigged by MacGyver, we wondered if the chicken would actually cook properly. The other unknown was the blackberry sauce. I thought it was a culinary leap of faith to put crushed garlic cloves, cayenne pepper, marjoram, and cilantro stalks into blackberry pureé. What would happen when all these spices melded into what was, moments ago, sweet and fruity? I couldn’t imagine how it would turn out. I wish I could share with you Shawn’s description of what it smelled like, but out of common decency, I won’t. When we finally sat down to dinner, we were surprised to discover that cooking the bird MacGyver-style resulted in the most tender, juicy chicken I’ve had in a long time. I couldn’t believe it had been this easy to create a poultry miracle with improvised equipment. We were supposed to pour the blackberry sauce over the meat, but, still unsure of our feelings toward it, decided to leave it on the side. Taking a deep breath, I quickly scooped up some of the sauce with a piece of chicken and popped it in my mouth. It was like nothing I had ever tasted in my life: salty, spicy, sour, and sweet, all at the same time, with the hints of marjoram and cilantro giving it an extra kick. It was sensational. Over the next week, we made other dishes from Olia’s cookbook, with varying results. Her Village Breakfast, a Ukrainian casserole with tomatoes, eggs, and bread, was lovely in its rustic simplicity, but Khingal, an Azerbaijani dish of lamb and onions with handmade pasta, didn’t quite turn out as expected. The crispy fried lamb ended up far too dried and crunchy, while the fresh pasta we had carefully cut into diamond shapes clumped into messy blobs once they hit the boiling water. Each time we tried another new dish, we found ourselves astonished by the uniqueness of the flavors, although having never previously eaten any of these cuisines put us at a disadvantage, since we weren’t quite sure what they were supposed to actually taste like. But I also realized that this is part of the fun of a cookbook like Kaukasis—it becomes a portal into another world, and a fascinating glimpse of another culinary culture. 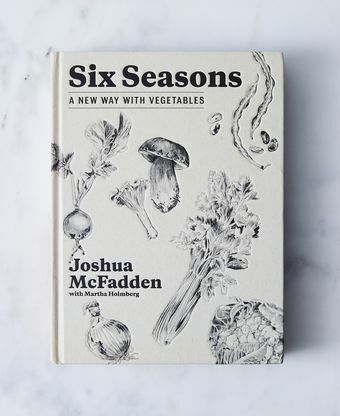 Even though I thoroughly enjoyed the ride that Kaukasis took me on, I’m choosing as my winner Six Seasons by Joshua McFadden. If you’re up for a journey, Kaukasis is an excellent vehicle, with familiar comforts and surprising delights. However, for someone in search of recipes with easy prep and Michelin-star results, Joshua’s book is the one. It has truly expanded my love of vegetables, and has even inspired me to try making one new dish from the book every single week. Okay, that’s a lie: I actually just keep making his Rigatoni with Broccoli and Sausage because it is so damn good. But I’m definitely going to try making his Pasta Carbonara with English Peas, and the Squash and “Tuna Melt” Casserole, and the Sautéed Mushrooms and Mussels in Cream on Sliced Steak—really, everything in his book sounds mouth-wateringly great. The next time I visit my mom, I’m going to cook for her. After our family moved to the United States in the mid-eighties, my mother had a kitchen to herself. At the age of 45, she taught herself how to cook and became very accomplished, much to the astonishment of my grandparents and our old cook. This time, I’m going to try to impress Mom with my newfound culinary skills. Let’s just hope she doesn’t throw me out of her kitchen. I received Six Seasons as a gift this summer and everything I have made from it is delicious and I would make every one of them again. It's a rare gem of a cookbook. One of the best reviews by far. What a great review, Joshua! Impressive that you took the time to engage three of your close friends to help you cook. You learned a few cooking basics in the meantime, and then took a leap of faith and reviewed a third book! So exciting to hear about these books, and your newfound skills. I think your mom will be pleased. Best review ever!! Also, makes me want to go out and buy a book I previously had absolutely no interest in! The perfect counterpoint to the previous disaster! Enlisting the help of friends is brilliant. Most of all, what grace in the face of adversity!! I love Six Seasons and am happy to see it advance. I'm also curious to see Kaukasis, it sounds fascinating. Great review! And thank you for reviewing a third book! Please review the entire PIGLET!!!!! i literally had visions of the whole process and was LMAO multiple times! Loved your books but love you more now! Thank you Kevin Kwan (and friends) who actually, graciously, cooked out of not two, but three books!!! Six Seasons is full of great recipes. Great review from a truly dedicated reviewer! I love this review. Kevin Kwan is a real trooper. I enjoyed the way he approached his assignment. I have been cooking from Six Seasons and enjoying it so much. I was pleased to see it move on. I checked Salt Fat Acid Heat out from my local library and after a first look dismissed it. After this review I'm planning on giving it a second look. I also want to take a peak at Kaukasis. Bravo Kevin Kwan! What a trooper to cook so fully from all three books after being notified of the error! Great review. Can we have Kevin review yesterday’s books too, please?! He gave a great review of all 3 books (I agree with Pam; I’d love to know what his decision would have been between SFAH and Six Seasons) and I’m about to place an order for one of them. Charming review, but I'm wondering which book Mr. Kwan would have chosen if there wasn't a mistake? I enjoyed this review, as Mr. Kwan obviously used these books and enjoyed the process. I liked hearing about the successes and the failures and it gave me a clear idea of what all three cookbooks would be like to work with. Thank you. Sad to see Kaukasis go! Was really hoping for a Kaukasis v Kachka match up in the next round!